Featuring Gnubie Gnuscaster Amanda Roncalio-Meyer! 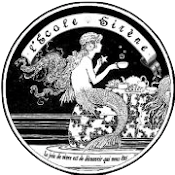 · September has indeed been the month of the siren, as 4 salonnieres have been trained and certified, and their salons officially opened in Ohio, Georgia, and both Northern and Southern California. See their links in the description section below this video to learn about all of their upcoming local events and activities. · Dust off that old copy of Pride & Prejudice and take gran’s old teacup off the shelf to join in the nationwide Jane Austen themed Austentatious Afternoon Tea on November 8th. All are invited to participate either online or at their local salon. There will be games, trivia, prizes, and tea! · Practically all of the activities mentioned in this newscast earn Siren School students Plunder reward ducats. If you’re not yet enrolled, click the link in the description section below this video. Annual enrollment is only $25 and allows you to start plundering immediately. It’s a great way to earn ducats you can cash in for everything from a custom-mermaid tail to a weekend in San Francisco or even a 5-day Total Sirenity trip to Hawaii! · Don’t miss out on your chance to pre-order Siren’s Treasure by Debbie Herbert, the follow up to Siren's Secret, available through Harlequin Nocturne, to be published Nov 1st. It’s a Southern Supernatural Romance – Where love, like magic, casts its own spell of enchantment. · Georgia now has a Siren School Salon of its own – The Bohemian Belles, where a bit of bohemian flair and southern charm fuse together. Go on a ghost tales tour at Oakland Cemetery, one of Georgia's most historical cemeteries, or join the belles for a belly dance show, or perhaps have a moonlight picnic among the fireflies and magnolias. Let Bohemian Belles help ignite your bohemian soul and let your gypsy spirit soar!